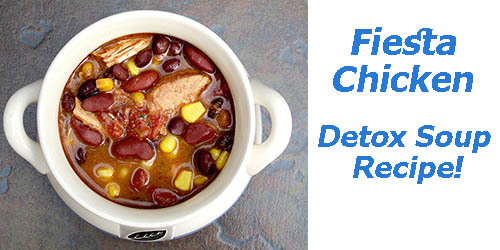 Get your slow cooker out and be prepared to taste the best soup you’ve ever had! Healthy chicken soup is an excellent way to get a variety of nutrition while cleansing your body of dirty toxins at the same time. This simple detox soup recipe offers the perfect mix of protein from chicken with fresh, healthy veggies that go absolutely perfect with each other! Start by preparing the ingredients below and then follow the simple directions to begin making your fiesta chicken detox soup right away! 1) First, prepare all ingredients as directed in the ingredients list above. 2) Add all ingredients into a slow cooker (or crock pot), stir to combine. 3) Cover and cook on low 6-8 hours. The detox soup recipe above yields 10 servings with a serving size of 1 cup. Did I mention this soup can easily satisfy cravings for Mexican flavor? 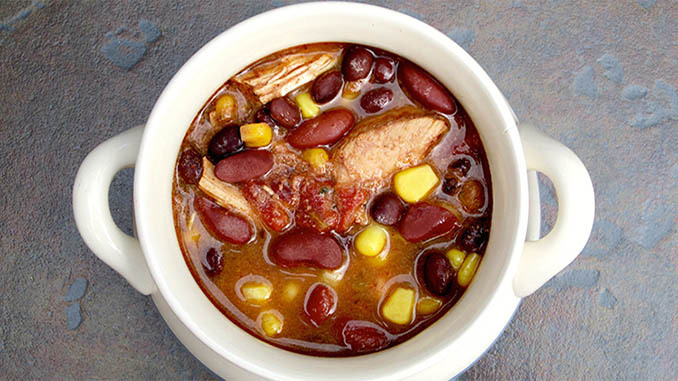 Although many Mexican dishes are loaded with saturated fat and calories; This soup lightens up the usual recipe, but still offers the same great taste. Consider pairing it with another Mexican dish you like and see how it goes together!